A few weeks ago, a dear commenter asked or I promised that I play Roommania #203. I'll talk about that experience. I'm in my room in a house I didn't grow up in but have spent 10 years off and on in. My room in the last hour has developed strange odor I couldn't figure out the source of. I went looking and took out the garbage (It was garbage day anyways.) I sprayed Frebreeze. I lit a match. The smell didn't go away. It's still here kind of. 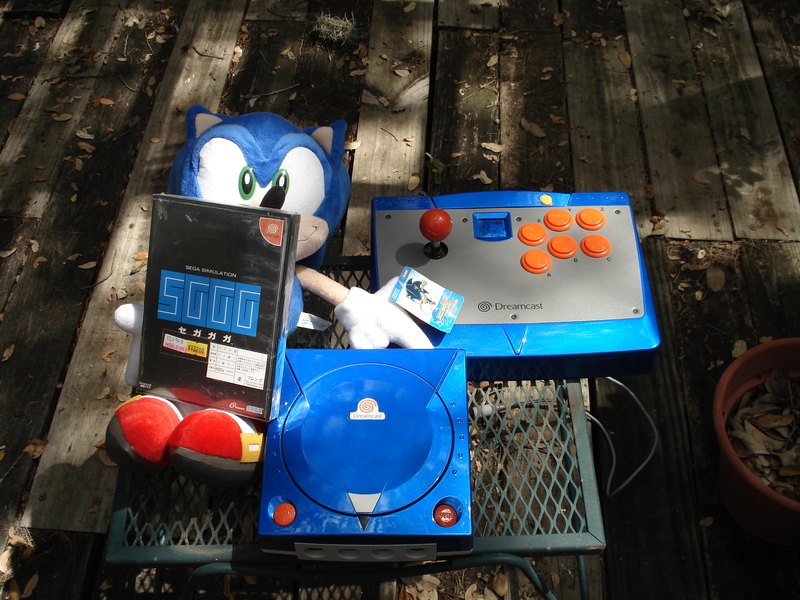 So then I sat down infront of my BEAUTIFUL Dreamcast. I popped in my Japan game booter. I looked away from the TV to close my computer. When I turn back I freeze. There's people, actors, playing mahjong. I can't hear what they are saying either because of the volume or my speakers. After two minutes it pulls back to show our Roommate of Roommmania #203 watching the mahjong show on his own TV in his Japanese apartment. Then it loads the title screen. It asked if I wanted to play the tutorial. I did. It drops me and asks me to "click" something. I find my fixed cam view not helping me much. I start throwing balls with the A button at things. My Roommate sits there and smokes a cigarette. He then gets up and goes off camera. I think he was opening the blinds. I keep throwing balls. The screen flashes ”イライラ！” I guess I'm irritating my roommate who isn't paying any attention to me. After 3 long minutes the session ends and I get a result screen. I eventually got more camera views. I got to move some furniture when Roommate wasn't there to freak him out. I was also getting very sleepy. On a Monday Night I played a barely interactive game experience where I watched a man kill time in his room. He was finding things to do between sleeping and not being in the room. Here I was choosing to bare witness to him finding things to do. I could keep throwing out balls that seemed to unlock more camera angles. It gave me goals that flashed on the screen for half a second and my kanji skills failed me to decipher them. Is this...really how I want to spend my time? I turned off the game and spent a couple of minutes thinking of how it could have become a profound experience. I thought about The Stanley Parable. The original version of that made almost no impression on me. I didn't even remember playing it until I saw my own writing saying that I did. I think now about Contact. I always meant to write about that game. Maybe I did at some point. Contact is a strange beast. Turning off the game requires more effort than actually playing it. So you keep playing it. The game eventually begins to notice the player. The Avatar rebels and goes to your house with a blue subaru parked outside. He tells you he won't take it anymore. It turns out the professor ran away with all your money. He says you can remember the good times by playing the game again. Okay so the subaru wasn't blue. That game kind of left me in a daze. Did that ending make up for the twenty hours of almost video game? I still don't know. I gave my copy to Ryan Starsailor. Or I sold it to him and he never paid me back. It doesn't matter. Maybe he's got opinions about it. He probably just stopped after 3 hours. Or looked at and always meant to play it. So would Roommania #203 live up to that if I sunk 5 or 10 hours into it? Possibly. But the thought of wasting my time not doing things watching a digital thing waste time not doing things is a bit too void-y. It's dark and icky. I should be concentrating on playing my Xbox360 shooters before I don't own a 360 anymore.